Pkg consists of 3 pieces, as pictured, 5 in.h x .75 in. 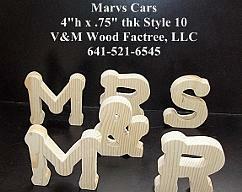 thk Style 2 unfinished stand alone wood letters MR & MRS. 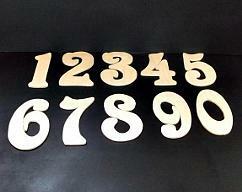 These letters are cut with scroll saw in my shop and are lightly sanded. Unfinished and can be left the natural finish, painted, or stained. 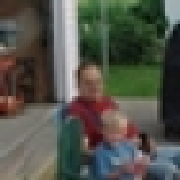 Combined length is approx. 28 inches.